If you love travelling but have a minimal budget to fund your travels, you can still make the most of it. Lack of money need not get in the way of your travels. With some research and careful planning, you can go away on a wonderful holiday and create beautiful memories. Listed below are some useful tips on affordable travel. Obviously, you need to pick a place that meets your interest but the place also needs to fit your budget. Picking a place that is very far off or more expensive than most others can dent your travel budget. So, do some research and zero-in on places that not only interest you but also offer good value for your money. You also need to find out about the high season and low season for your choice of destination and if you can, then avoid travelling during the former. 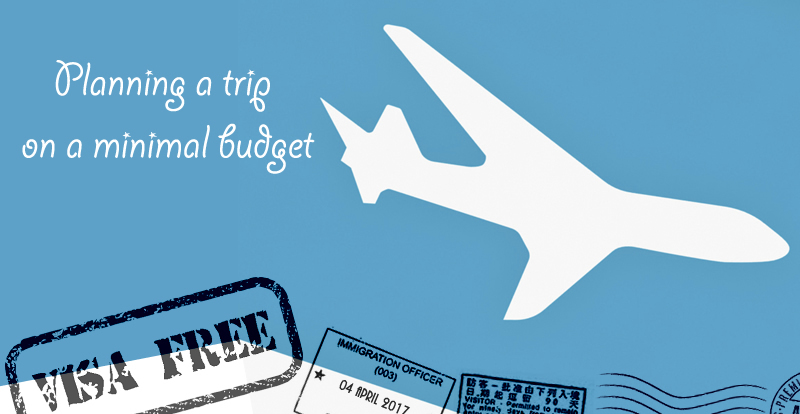 Undoubtedly the bulk of your budget would go towards your flight tickets and accommodation. The key to finding cheap flights is to start searching as early as possible. And this depends on you choosing your destination much in advance. Once you have selected your destination, keep searching and looking for cheap flights. If you are flexible with your travel dates and time of flying, you might notice a large variation in flight prices compared to peak times. Sometimes the place you are flying to may have more than one airport, in which case it is wise to check flights to both airports to ensure you pick the cheaper one. Another key aspect of your travel planning is to find the best deal in terms of accommodation. Depending on your destination and the number of days you plan to spend there, you can choose from different accommodation styles - hotels, B&Bs, holiday apartments etc. You will get a good deal if you book your flights and accommodation much in advance. All it takes is some research and planning. If you are short on time or need some expert help, then there are many sites that offer low-cost holidays where everything is taken care of. Sunshine.co.uk is one such site where you can book a low-cost holiday in a few simple steps. You just need to select your holiday requirements and the website does the rest. It will display a list of holidays matching your criteria and you can make your booking online with zero hassle. One of the most interesting parts of travel is the chance to experience different cultures and trying out their local food. Eating out can, however, be very expensive; especially when it comes to fine dining. I enjoy fine dining but splurging on a good meal in a fancy restaurant every single time you eat out can be a very costly affair. You can enjoy local cuisine in smaller restaurants, cafes or coffee shops. If you are the kind who doesn't mind experimenting, then you can try the local street food or food from other small outdoor vendors or go on a food tour. While in Egypt, we sampled local street food and it was delicious and a fraction of the price we had paid for a similar dish in a hotel earlier during our holiday. You can read reviews and recommendations of local eateries on sites like Tripadvisor and make an informed choice - one which your tummy and wallet, both will appreciate. This is linked to your choice of destination. When you pick a destination, you would also be researching on attractions and things to do in that city. Most major cities have 'City Passes' that allow you to save money while visiting attractions. For e.g. London has the 'London Pass' which gives you free entry to over 50+ major tourist attractions and tours in London. You can skip the long queues at all those attractions which accept the London Pass and also get good discounts at numerous shops and restaurants in London. Similarly, the Roma Pass enables the pass holder to benefit from various discounts and services like - free entry to the first 2 visited museums, free use of the city’s public transport network etc. These city passes are usually available for different durations (24 hours, 2 days, 3 days and so on) and are an excellent and cheaper way to enjoy the local tourist attractions. These are some of my tips for planning a holiday on a low budget. The key point is to plan ahead and research as much as possible. Read up on the destination, find out the main attractions in the area, the best places to eat, the easiest ways to get around locally, transfer costs from the airport etc. The more you research, the better your chances of getting the best out of your travel budget. Disclaimer: This post was written in collaboration with sunshine.co.uk. Thanks so much for this post! I'm definitely going to keep these tips in mind when I go on my next holiday. Your tips are so practical and useful! I will definitely save and reread your post!